I was hooked from the first time I heard The Who. The synthesizers in Baba O’Riley, the brass in 5:15, the scream in Won’t Get Fooled Again – the sounds were unlike anything I had heard before – or since. It was an inevitable match as I started to develop my musical tastes. Oh, The Beatles had better lyrics. Zeppelin better guitar parts. The Stones more eclectic performances. Pink Floyd crazier album concepts. But The Who had – and continues to have – something visceral, something that is hard to put into words. I finally had a chance to see them live on Friday night. Roger Daltrey and Pete Townshend have renewed their classic Quadrophenia album on an epic 37-date, four month tour, and I was determined to get tickets to see their stop in Boston. The show was amazing, even better than I could have hoped (if you’d like, you can check out the setlist here). 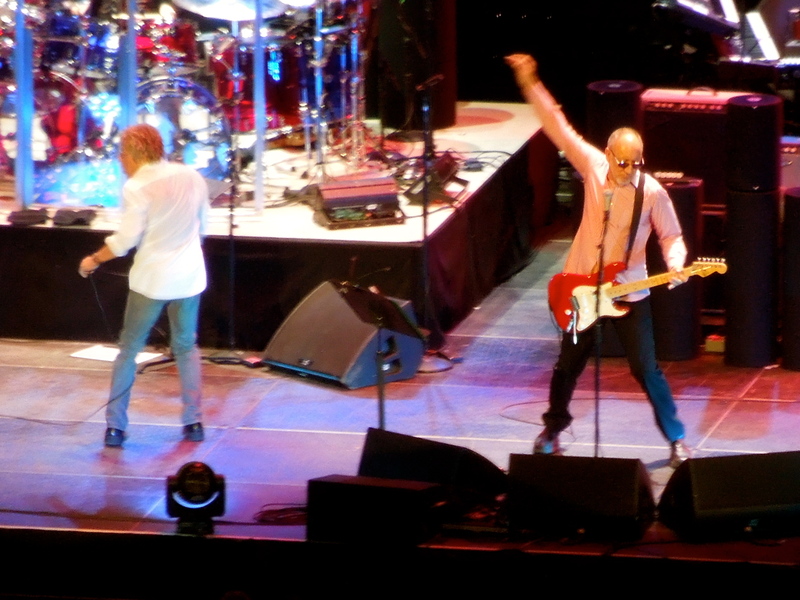 Daltrey sang incredibly well for a 68 year-old man, and Townshend still has his classic windmill move. While John Entwistle and Keith Moon are gone, the band still sounds remarkably similar. This is, remember, a band that was formed nearly 50 years ago – Daltrey and Townshend have seen it all, but it’s all the same as it ever was. They still put on an incredible performance. Quadrophenia was released 39 years ago in 1973, which, by the way, was a great year for rock – there were so many iconic albums released like Pink Floyd’s Dark Side of the Moon, Zeppelin’s Houses of the Holy, The Stones’ Goats Head Soup, Billy Joel’s Piano Man, Elton John’s Goodbye Yellow Brick Road, and debut albums by Bruce Springsteen and Aerosmith and Lynyrd Skynyrd. *There is a term, though it’s slipping my mind, for a person who believes he or she would be better suited in a different time period. I’m not one of those people. I’m quite content in 2012. But I do often think about how I would fare in the 1970’s or 20’s or the 1860’s. ** I actually like Gangnam Style. We live in an age where lyrics matter more than instruments, where the performance matters more than the music. Music today harps to the extraverted, to the outward seeking individual, to the partier. And that’s ok. Music is always changing, and new is not necessarily bad. I don’t like to hate on today’s music because, like it or not, it is my generation’s music. And, there is a lot of good music out there today. But, I can’t help thinking we’ve lost something. The Who is band that feels very real to me – the lyrics are reflective of a time when the band members were finding themselves. The music harps on themes that are true for everyone – the fear of being alone, the struggles of growing up, the proverbial teenage wasteland. Music today doesn’t feel the same – it’s electronic and loud and overly staged. Have you ever seen footage from a dubstep concert? The DJ stands there on his computer for two hours, everyone goes crazy, and that’s it. The concert on Friday was the complete opposite – by the end, Roger and Pete were visibly exhausted, with blistered fingers and raspy voices. These are two men on the verge of turning 70, but they have not sacrificed their effort. 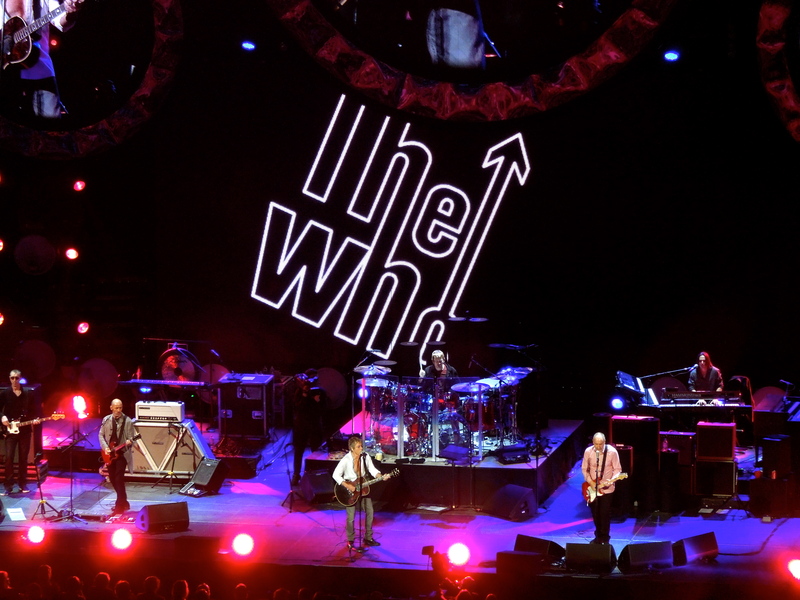 The audience had a deep feeling of respect and awe and wonder – again, The Who has a way of connecting on a deeper level. Music will inevitably progress into new areas. New bands will come along and new walls will be shattered. But I hope that everyone can appreciate the music that came before. The Who is on the short-list of music everyone should hear – and appreciate. I’m just glad that, for one night, I was able to do it in person.